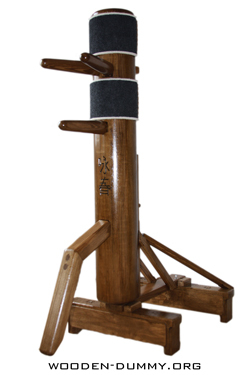 The design of the wooden dummy by WOODEN DUMMY SERVICE was designed for installation on the floor. 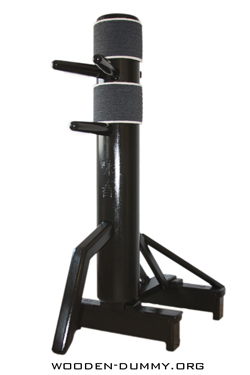 This type of Dummy is ideal for those who have no possibility to drill walls, for small rooms, rented apartments. It can be placed anywhere on a floor with a flat surface, be placed in a corner, put on a balcony, on the street, etc. Despite the fact that the dummy is set on the floor, it is an extremely mobile structure. 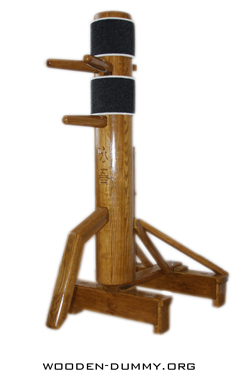 There is a capability of height adjustment of the wooden dummy along the bracket on 4 levels (200mm). According to the developers - this is one of the most compact dummy free standing on the floor, with good mobility and independence within the space of installation. From the day of the release, Standing became the most popular model.